•	BER: E2 BER. NO. 111836052. •	Situated at front of Estate – overlooking green area. No. 5 is in need of total refurbishment, however, with limited expenditure could be transformed into a very fine home in a very convenient location. •	Anyone interested in a doer upper, this is the house for you – great opportunity to acquire a property in need of total refurbishment at a reasonable price with lots of future potential. •	COMPRISING: Entrance hallway, sittingroom, kitchen/diningroom, utility area, 3 bedrooms + main bathroom w.c. and w.h.b. Garage, gardens (overgrown) to rear + front gardens, off Street parking. OFCH (currently not in use). A 3 bed in need of total refurbishment - situated to the front of the Estate at Rahylin Glebe, Ballybane. 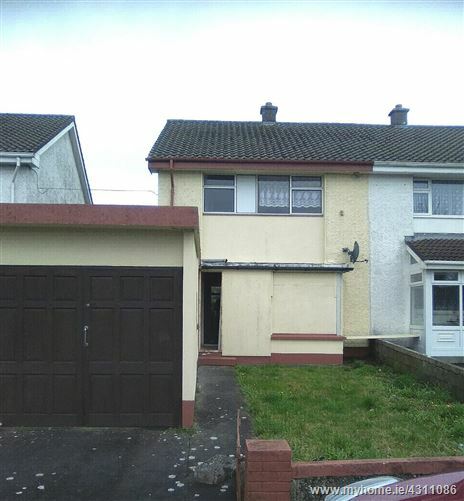 Situated close to Shops, Church, all Schools, Industrial Estates and GMIT. The property has a sittingroom, kitchen/diningroom, utility area, 3 bedrooms and a bathroom. Garden area to front and rear + off Street parking. With a little expenditure this property could be transformed into a cosy family home/investment property.